Tuff Automation custom material handling solutions — Tuff Automation is Expanding! Tuff Automation has been providing custom material handling services since 1993. We are unique in that we custom build each order to meet our customer’s exact specifications. Our distinctive products cannot be found in a catalog. We are known for our quick turn-around times and lower prices. Over the last several years, we have been growing exponentially. Our sales have increased by about 35% in the last 5 years, and we expect them to increase by another 40% by 2022! With growth comes new challenges, such as space and staffing. Due to our growth we have been leasing a second facility. This has allowed us to continue providing quality products to our customers and reach our goals. 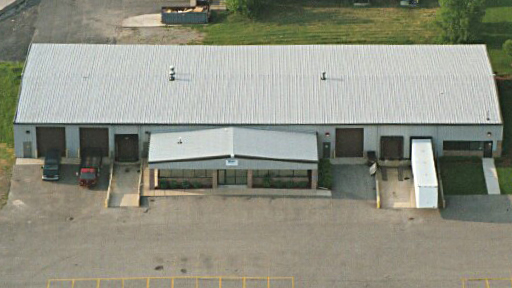 Although this space has helped, having all of our operations in the same location is ideal. We are happy to announce that we have begun construction on an addition to our main location. The project is set to be completed by October 1, 2017. We are excited about this new addition and the benefits it will offer. Once the construction is finished, we will be able to assemble complete systems on site. The building will feature a 30 foot ceiling which will allow us to build tall lifts on site as well. So, why has Tuff Automation had so much success? We contribute it to the people working for us. We have been blessed with many caring and talented employees that make sure our customers are satisfied. As we expand, we will look for more talented people to add to our team. This will allow us to continue to provide exemplary service to our clients. We are looking forward to the future as we continue to grow. Do you have a question or want to know more about our services? Contact us via email at sales@tuffautomation.com or by phone at 616-735-3939.